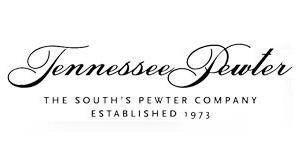 Using a blend of five Tennessee grown peppers, a new company (and sensation) was born! A healthy alternative to traditional hot sauce, Red Hot Sprinkle is free of sodium, sugar, preservatives, and other additives. It’s convenient to use – just pop open the top lid and sprinkle to your heart’s content! 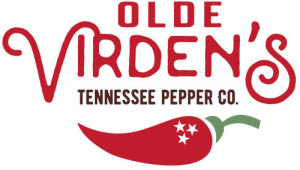 We should also mention Olde Virden’s Chile Pepper Blends make great economical gifts for any occasion. If you’ve got someone on your list who enjoys spending time in the kitchen, do them a favor and “sprinkle” them with your generosity! Click through to the Olde Virden’s website (linked above) to discover their complete story and place your order. Made in Gatlinburg, Tennessee! In The Volunteer State, an excellent source for Tennessee Made honey is Country Garden Apiaries, an Etowah, TN family owned and operated business. They only sell 100% pure natural honey and best of all, you can order it for delivery right to your doorstep! 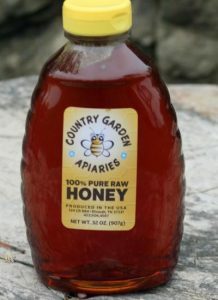 Available in sizes ranging from 12 ounces to 32 ounces, Country Garden Apiaries is as pure a taste of Tennessee as you’ll find. Click through to their website, linked above, to learn more about them and to place your order. A Perfect Made in Tennessee Gift Idea! 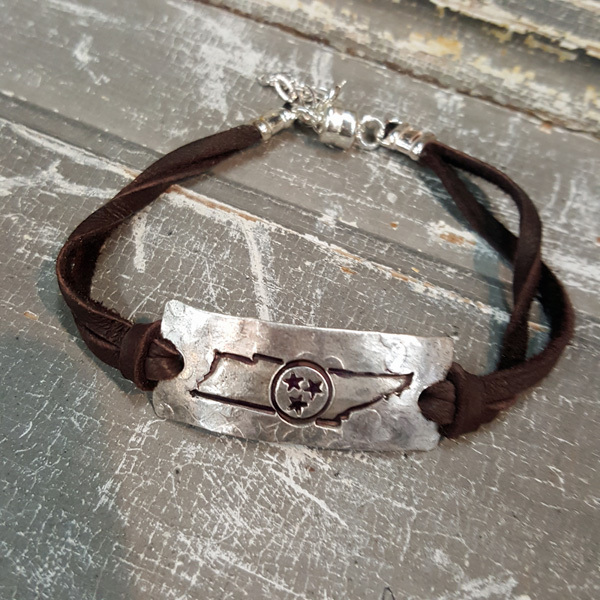 If you’re looking to highlight your Volunteer State pride, you’ll love the TN Deerskin Bracelet, shown to your right. The hand stamped Tennesse plate is available in Antique Brass, Silver, or Copper and in your choice of Black or Chocolate brown deerskin. Perfect as a Made in Tennessee gift, you can order this or any of their designs directly from the website. We are delighted to spotlight this one of a kind creative small business on our Made in Tennessee page! 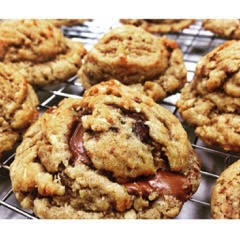 Moonshine Mountain Cookie Company: We’re very pleased to feature this Knoxville small business whose business it is to bring a smile to your face with their distinctive special recipe gourmet cookies – some of which even contain a dash of genuine Tennessee moonshine! 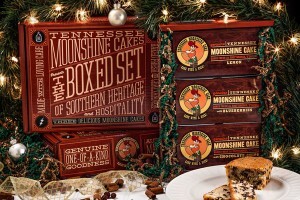 What sets Moonshine Mountain’s creations apart from any cookies you’ve ever enjoyed are the creative flavor combinations and thick chewy center … at their website (www.MoonshineMountainCookies.com) you’ll find specialties like “Happy Pappy”, “Rocky Top”, and “Caramel by the Sea”. Let’s have a virtual taste! Happy Pappy (Apple Pie) pairs sweet white chocolate, a blend of spices, and genuine Apple Pie Moonshine. Topped with a light glaze, it’s the perfect Made in Tennessee corporate or thank you gift. Not to be outdone is Rocky Top (Creamy Chocolate Chip), a nod to UT’s own Volunteers, which features creamy milk chocolate and golden rolled oats. And be sure to buddy up to Caramel by the Sea (Salted Caramel Toffee), one of the company’s best sellers. It’s an irresistible blend of caramel bits, toffee, sea salt, milk chocolate and rolled oats. Wow! 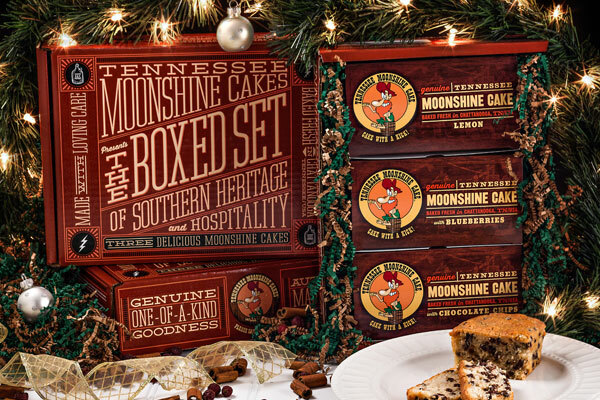 If you’re lucky enough to live in the Knoxville area, Moonshine Mountain can serve you locally, and for the rest of us, these fantastic gourmet cookies are just a click away at their website … they ship all across the country! If you’re looking for that special gift for clients, customers, co-workers, or anyone on your list, check out Moonshine Mountain’s gift giving options. Who wouldn’t appreciate and remember gourmet small batch cookies creatively packaged in Bakers Boxes or Burlap Wrapped Quart Jars?? All Your Made in Tennessee Favorites! 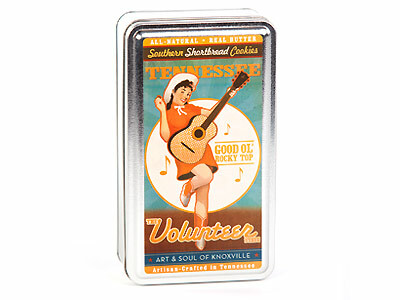 Tennessee Gifts: If you’re looking for one stop shopping for gifts from The Volunteer State … you’ve just found it! Click through to their website, linked above, to discover all your gift giving options. 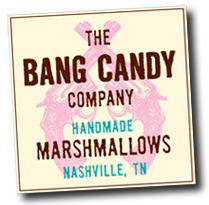 We’re proud to feature this vibrant small business on our Made in Tennessee page! Among the many scents available for you just a click away are Tropical Ice, an orange and spearmint soap, and Summer Romance, a lavender and lemongrass beauty. 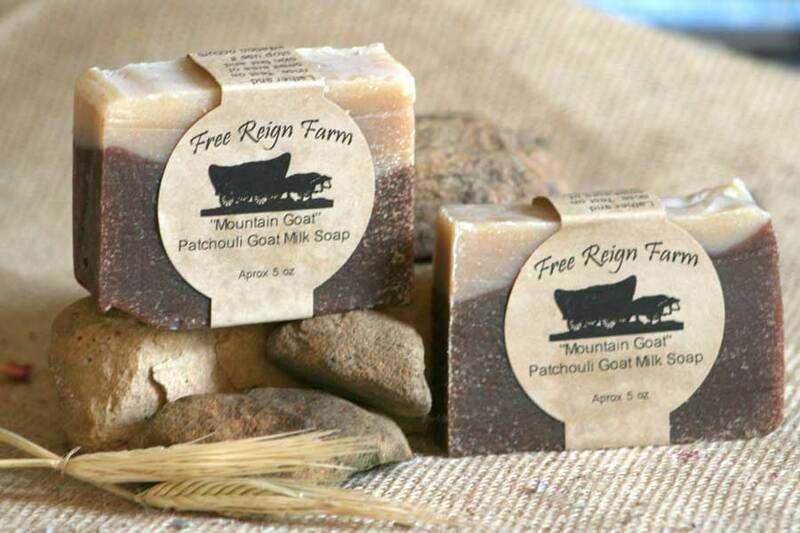 Free Reign Farm also offers Goat Milk Shaving Soap, Natural Laundry Soap, and even a special Pooch Shampoo Bar, designed to keep your favorite four legged friend’s coat shiny and clean! The perfect Made in Tennessee gift for anyone on your list, or as a special treat to pamper yourself! 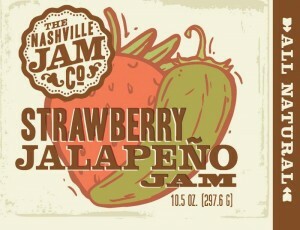 Nashville Jam Company: This family owned and operated business started like most small businesses do. 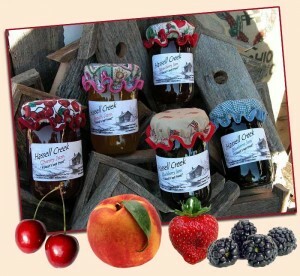 Courtney and Gary Baron had an excess of produce from their garden and began making jams using all natural ingredients. They passed out jars as birthday and holiday gifts and were overwhelmed with the positive response – and a business was born! Today, over a dozen different varieties are available. Among those offered are Blackberry, Blueberry, Apple Bourbon, Sweet Onion & Garlic, and Raspberry Jalapeno. 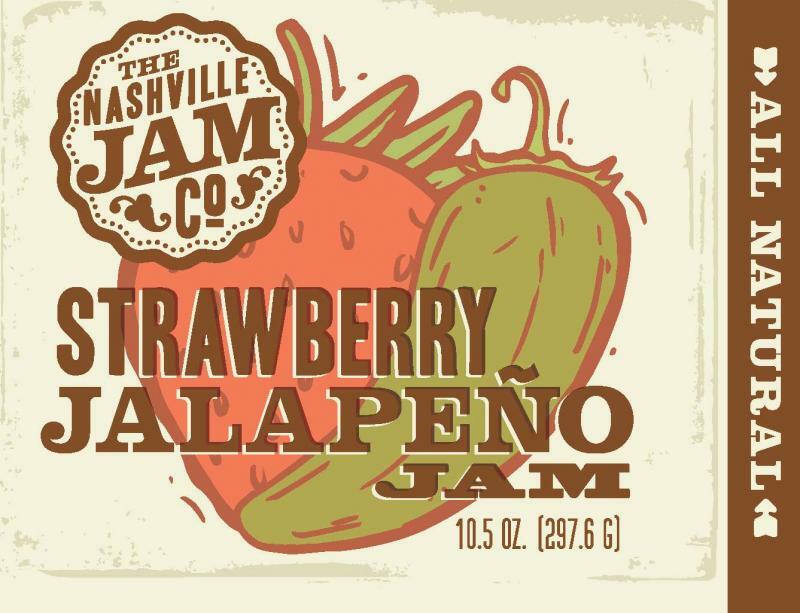 At the Nashville Jam Company website, you’ll see the entire selection … you can order many of the flavors along with gift crates containing jams and biscuit mix for a traditional Southern breakfast. Specific flavors include Lavender Blue (blueberry), Cinnamon Girl (cinnamon), My Cherry Amour (cherry), Scarborough Pear (pear), and more. Musical creativity from The Music City! 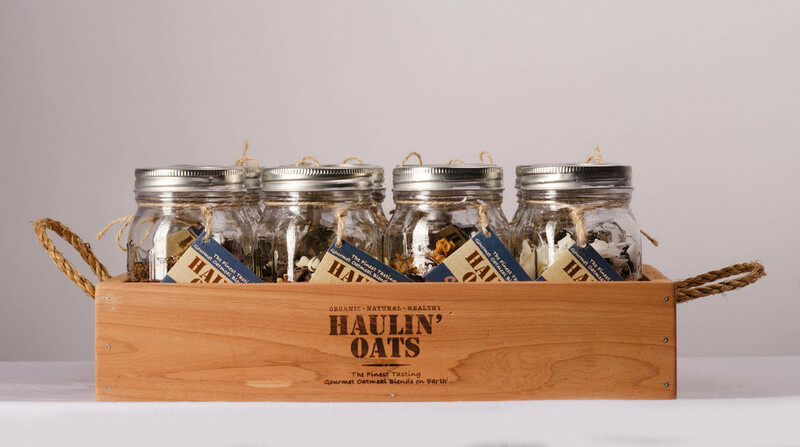 In terms of the packaging, each serving is packed into a handsome wide mouth mason jar – all you need is some hot water to mix it up and a spoon to enjoy it. Combination packs and gift crates like the one shown are available directly at their website. Give the gift of healthy eating! Known for exquisite taste and beautiful packaging, Colt’s Chocolates is an in-the-know choice for corporate gifts around Nashville. 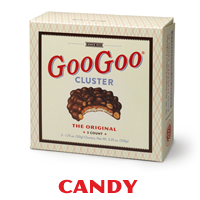 Their chocolate covered marshmallows, almond-cherry chocolate bark, and smoked jalapeno candy bars are in high demand, along with their many other delights. When in Nashville, take some time to visit Colt’s – they’re on Overton Street – and then explore the neighborhood. 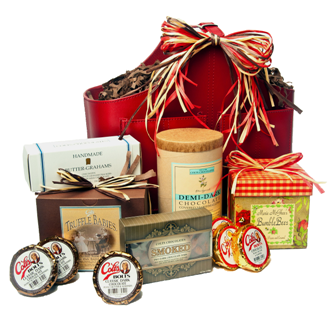 If you’re visiting online, check out the Colt’s Ultimate Gift Collection (pictured) – it’s a generous sampling of many of their favorite chocolates and more! 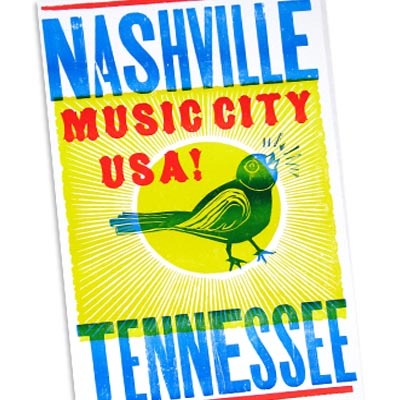 Made in Nashville and available to be shipped anywhere in the U.S.! Most people don’t realize a lot of fruit is grown in The Volunteer State. Hassell Creek produces jams, jellies, and fruit butters from what’s grown here, including apples, peaches, strawberries, pumpkins, plums, and sweet potatoes to name but a few. 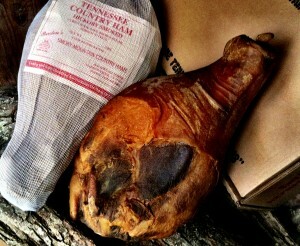 Further, they offer smoked hams, pure honey, sorghum, and a wonderful Butter Pecan Syrup. All told, there are over four dozen different products to enjoy, all of which you can purchase via PayPal at their website. Don’t forget the Chow Chow for something uniquely Tennessee – it comes in Mild, Hot, and Extra Hot varieties. There’s a three jar minimum purchase to help save on shipping costs, so feel free to put together your very own gift package! For a great Made in Tennessee gift, consider the Seven Pack, which comes in a decorative box and can be customized to include your favoritess. 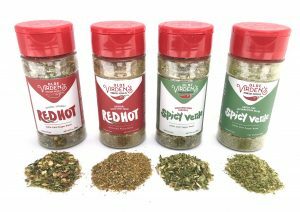 All are available for purchase directly at the BKW Seasonings website. Taste what Knoxville has been talking about! 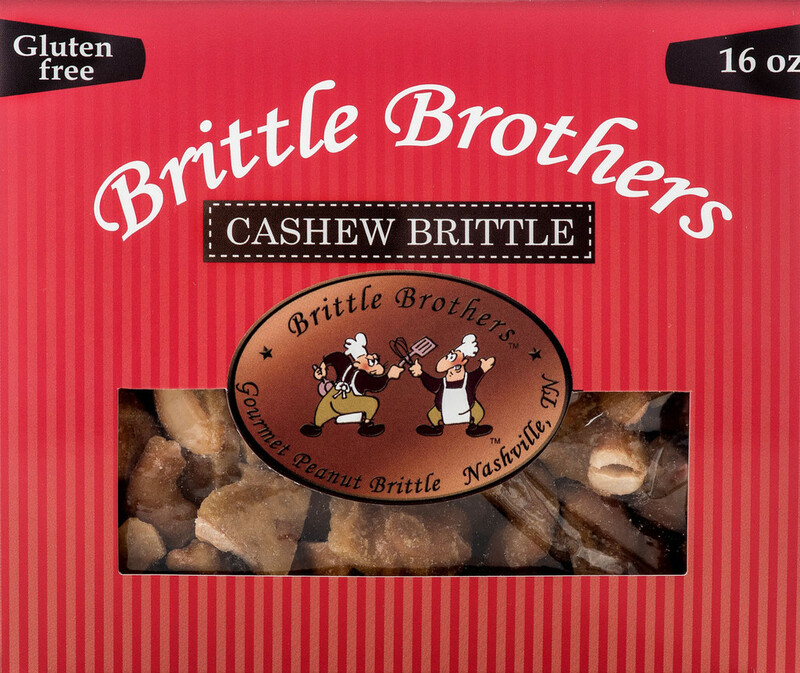 They’re Brittle Brothers, founded in 2006 by John Spalding, a Nashville area resident who was searching for a brittle with more nuts and less corn syrup and sugar. He settled on an old family recipe which featured more healthy nuts and less things that stick to your teeth! 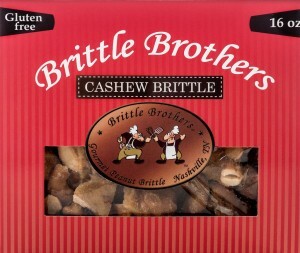 Brittle Brothers products have become a big hit – they’ve been included in Swag Bags for Country Music, Grammy, and Academy Awards gatherings. You can order the brittle in bags, boxes, or gift tins directly at their website. A wonderful Made in Nashville gift idea! High Note Gifts: Here at State Gifts USA we get lots of requests for referrals to businesses who create city or state specific gift baskets. 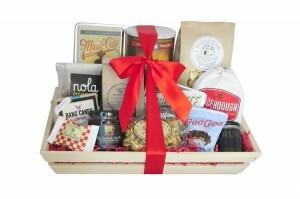 Perfect for thank you or corporate gifts, a collection of well known products from a specific local area is a sure fire hit. In The Volunteer State, we discovered a Nashville company doing exactly that. 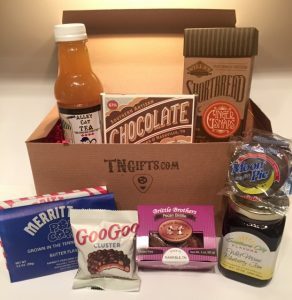 They’re High Note Gifts, and they create gift crates packed with products from some of the area’s best artisan producers. They’re carefully placed into a handsome wooden crate, adorned with a festive ribbon, and accented with your personalized custom message. Click through to the High Note Gifts site to see all your options! 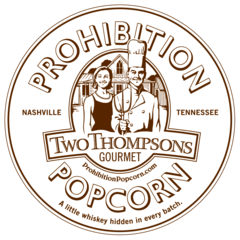 Nashville is home to one such company – Prohibition Popcorn, developed from the thriving Two Thompsons local catering business. While sweet and salty popcorn is nothing new, the company adds a dash of good Tennessee whisky to every batch to give their popcorn a one of a kind flavor profile. At the Prohibition Popcorn website, there’s a list of locations in their local area where you’ll find it, and you can also order online. 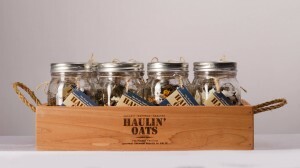 The popcorn is packed in easy to handle bags or handsome cracker jars in various sizes. Check out the good looking logo t-shirt too! Handcrafted at the couple’s Nashville studio, Emil Erwin has national and international fans. 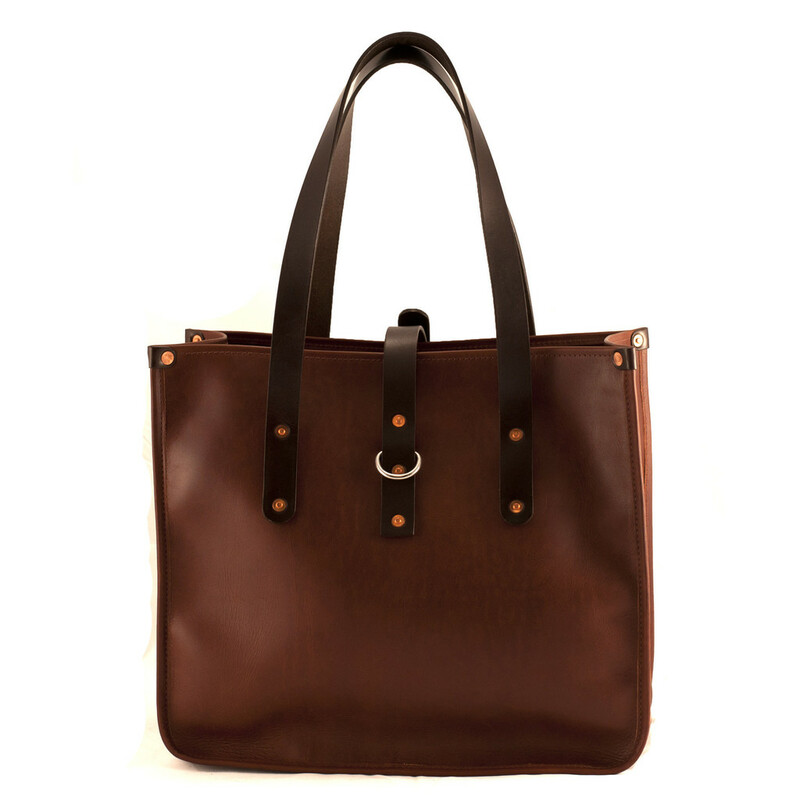 Their products were first noticed by Imogene & Willie and are now highly sought after for their classic looks, durability, and practicality. 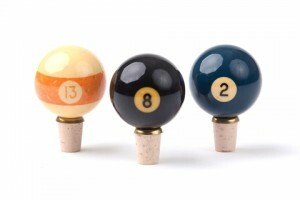 Available for purchase from their website, an Emil Erwin creation makes a great gift for yourself or anyone who appreciates fine craftmanship. 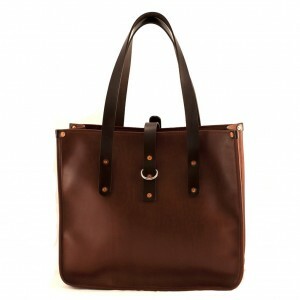 Each of their products are guaranteed for life and are offered as handbags, totes, luggage, and all sorts of accessories. View the entire selection online and bring one of these classics into your home, direct from Nashville! You can also use the website’s handy store finder feature to find a location near you. Get yourself a pair or two of an American classic … Pointer Brand jeans! The company’s flavored syrups are designed to mix in lemonade, tea, cocktails, and desserts. You’ll have fun experimenting with the flavors – they’re available in Peach Basil Nectar, Smoke Spiced Orange, Strawberry Rhubarb, Pineapple Jalapeno Cilantro, and several more. Try them over ice cream or pound cake – or both! For a unique grown up gift, don’t overlook their Boozy Caramels. Hand cut caramels are made with specialty local spirits, like Belle Meade Bourbon and Corsair Red Absinthe – check the website for all your options. 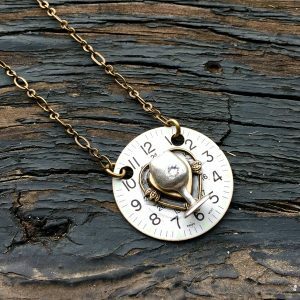 A creative small company developing some wonderfully unique products! 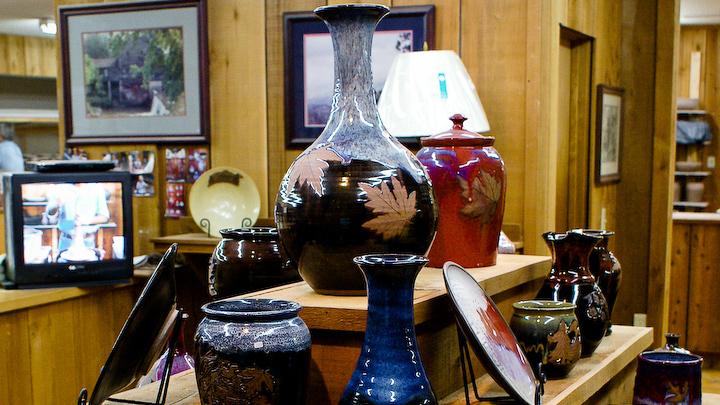 A must visit if you’re in the Gatlinburg area, you can also view and buy selected pieces from their extensive inventory at their online store. Serving platters, plates, mugs, pitchers, and bowls are just a few of the vibrant, colorful items you’ll see. You can also take a virtual tour of their gallery and workshop to learn how these beautiful pieces are created. 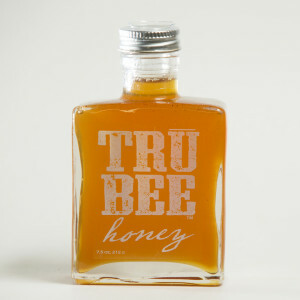 Tru Bee Honey: We’ve really gotten into honey the last couple of years, for a few different reasons. One is honey’s health benefits – it helps diminish the effects of local allergies, it’s an instant source of energy (try a spoonful around 2:30 p.m. at your desk! ), and it can help mitigate high blood pressure. Of course, honey tastes good too, but we also have great respect for the honeybee’s role in our food chain. Just outside of the beautiful, historic town of Franklin just south of Nashville, Tru Bee Honey is producing some wonderful local honey that’s distinctly different depending upon the season. A family member was kind enough to send us a bottle of their spring honey – very light colored and with a sweet floral taste. Excellent right out of the jar! Tru Bee Honey brings their product to you directly as the bees intended. No excess processing or pasteurizing – just pure honey with all the health benefits intact. They of course market their honey and related products locally, but you can also order at their online store and have it shipped to you or a gift recipient. Be sure to check out the different “vintages” they offer – Tru Bee even barrel ages honey in bourbon barrels – what a cool gift that’d be for anyone who appreciates both honey and bourbon! A local tipped us off to their Shabam! Red Pepper Sauce, praising it as the best red pepper sauce in the area. It’s made to go with traditional Memphis specialties, like catfish, greens, chicken, and barbecue. We brought it home and added some to our tilapia and rice dish we have a couple times a month – it’s excellent! Shabam! is not really that hot at all but it’s got the nice peppery kick you want in a table sauce. And we love the name … it fits! 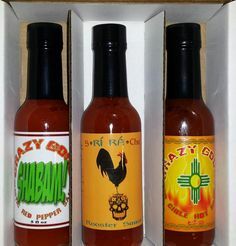 Crazy Good also makes their version of a Sriracha sauce called Ri Ra (pronounced “Ree Rah”) and you’ll find it available at their online store. Also take a look at their “Sweet Heat” sauce – we haven’t tried it yet but aim to! It’s a combination of sweet and hot and made for chicken, seafood, and any grilled dish. If you’re not visiting Memphis any time soon, visit the Crazy Good website to get some for yourself! You can use the Steak Marinade to tenderize and flavor your steaks (or burgers). Just coat the meat and place in a zip lock bag for 24 hours and then place on the grill. We particularly liked it because the Marinade is low in sodium – you’re actually adding flavor instead of salt! Great for pork chops too! 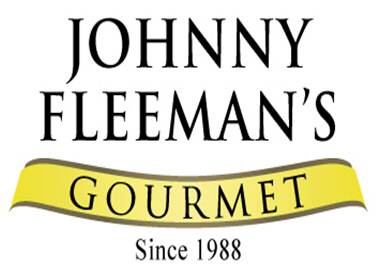 You’ll find Johnny Fleeman’s products in large grocery stores in the mid South or directly via their website. 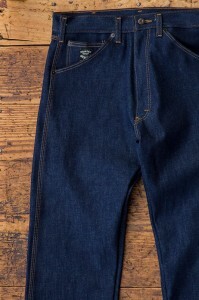 Click through to see all their products and we hope you enjoy them as much as we did. Let us know what you think! 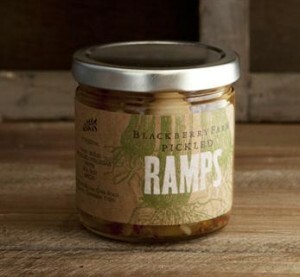 One specific item of the many catching our eye is pickled ramps and ramp jam. If you didn’t know, a ramp is part of the leek family and is found growing wild in the Appalachian area. It is somewhat hard to find and is prized in this part of the country. Pickled ramp can be used in a martini in place of an onion and also baked atop a pizza. Ramp pesto is also available, and can be used in a similar fashion to standard pasta with a Tennessee twist! 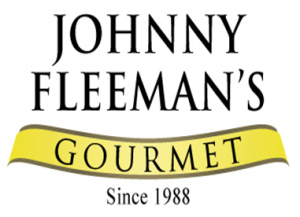 Click through to their website and see all of the 36 different varieties and flavors of cheesecake. A wonderful corporate or personal gift, Tennessee Cheesecake is a welcome addition to any gathering. Just to name a few flavors they create: Strawberry Swirl, Turtle, Original, Peppermint, Triple Chocolate, Cherry Swirl, and many more. Southern style pies and gift towers are also available! 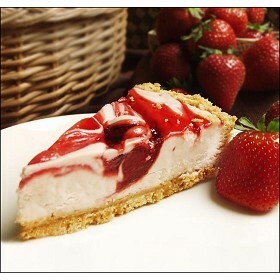 Tennessee Cheesecake offers a Deal of the Week and will ship all over the country. If you’re traveling near The Volunteer State, stop in at their retail store in Mount Juliet to say hello! While the company makes a wide variety of products, they are probably best known for their spiral sliced honey glazed country ham. A popular holiday item, these hams are available from their online store and weigh in at 5 – 7 pounds. They’re shipped ready to eat and are some of the finest hams you’ll ever enjoy, and this coming from a guy whose father sold pork products for a living! 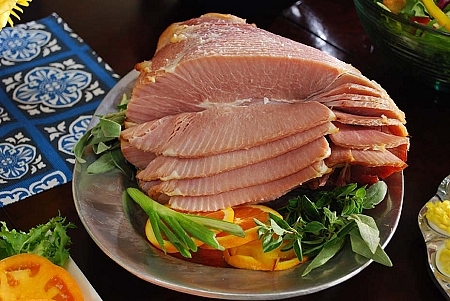 Clifty Farms offers their hams in various sizes and packaging, from small packages of center ham slices and sampler packs which include bacon all the way up to 16+ pound unsliced whole hams. Be sure to check out their barbecue gift pack section of the online store too – it features back ribs, pulled pork, and more! A wide selection of smoked turkey and smoked sausage items are also available. Check out the Clifty Farm online store for great gifts from The Volunteer State! If you’ve never tried Willa’s melt in your mouth shortbread cookies, put it on your list! They’re available in both full and bite sizes in handy boxes or the aforementioned tins. The cheese biscuits are flaky, soft, and moist – perfect as a side dish or drizzled with honey for breakfast! Willa’s will also private label tins for special corporate gifts. 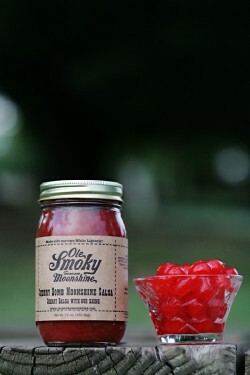 Give the great taste of Tennessee! 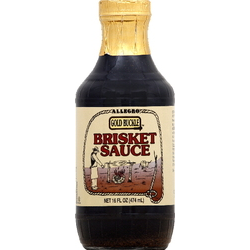 We are big fans of one of their specialty sauces called Gold Buckle Brisket Sauce, pictured. While it’s intended as a marinade for brisket, we use it quite a bit to marinade hamburgers. It’s got a slight mesquite smoke taste and it’s ideal to turn your burgers from good to great! 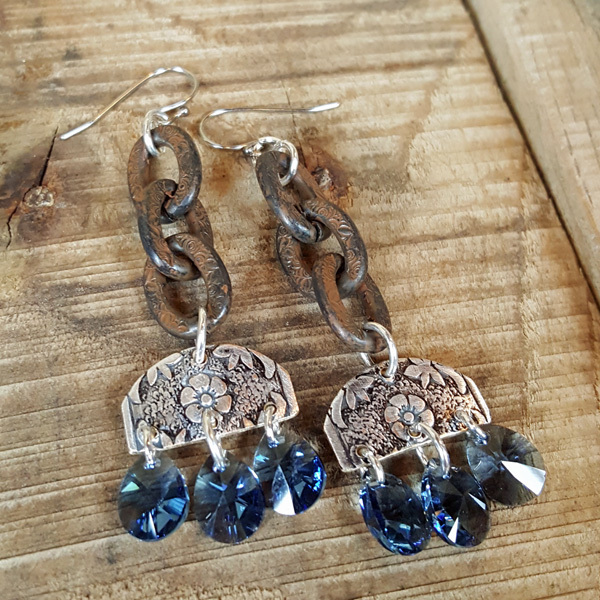 Click through to their site for tips about using and caring for pewter as well as a wide selection of one of a kind items. Wonderful gifts from The Volunteer State! 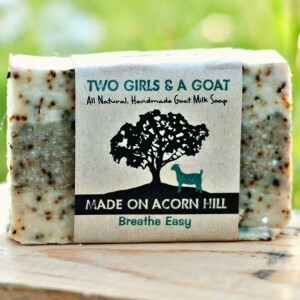 Made On Acorn Hill: One of my wife’s favorite gifts for her gal friends is handmade soap from small local producers. There isn’t a new city or area we travel in that she isn’t stopping in at a local gift shop picking up a few locally made items (sometimes even for me!). 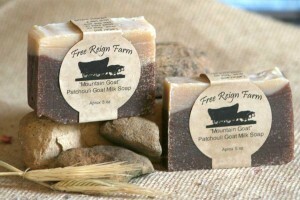 You can order “Breathe Easy” and some of their other goat milk soaps for yourself – or do what my wife does and give them away as sure to be appreciated gifts! They’re handmade with pride from Tennessee! Jack’s Barbecue: Nashville is such a cool city, for reasons far too numerous to list here, but rest assured great music and great dining options are two of them! If (or should we say “when”) you’re downtown on Broadway in The District area, you’ll find one of our favorite Tennessee destinations, Jack’s Barbecue at 416 Broadway, where they’ve been since moving a few blocks in 1994. Jack’s couldn’t possibly be in a better location (although there are three around town). They’re steps away from the Ryman Auditorium, Ernest Tubb’s Records, and the iconic Tootsie’s Orchid Lounge. The enticing aroma of slow smoked barbecue specialties pulls in visitors from all over the world! 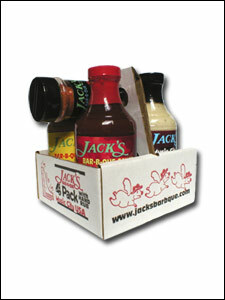 You can order a handy 4-Pack of Jack’s Barbecue sauces online at the Jack’s website, either as a special gift or to help you bring back some great memories of the Music City! Among the interesting flavors you’ll find on their site are Five Spice Dark Chocolate Caramels and Old Fashioned Cocktail Caramels. The Old Fashioned Caramels are a take on the classic cocktail of the same name and are infused with aromatic bitters, bourbon, and orange extract. The Five Spice Dark Chocolate Caramels contain five savory spices and are finished with sea salt. The caramels are hand cut and are packaged in hand stamped pinstripe boxes and affixed with a cord bow. A great gift idea! None of the Shotwell Candy products contain corn syrup, and they’re best eaten within a few weeks … although we doubt they’ll last that long! 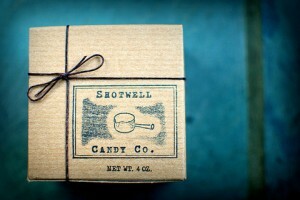 Check their website to see all the different varieties of caramels they make and to order a box or two! You can order Corky’s BBQ directly from their online store and have it shipped anywhere across the country. A great gift from Memphis! 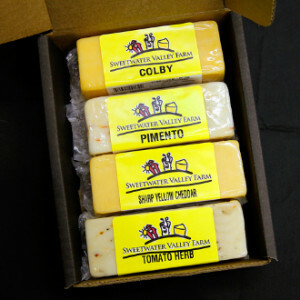 Order yourself a real taste of the Volunteer State! A great gift any time of year too! 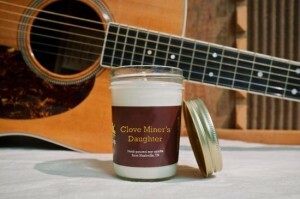 As an example, one of their soaps is named “Friends in Aloe Places” and the candle shown in the picture is a clove scented candle named “Clove Miner’s Daughter”. Practical and clever! They make other bath and body items too. 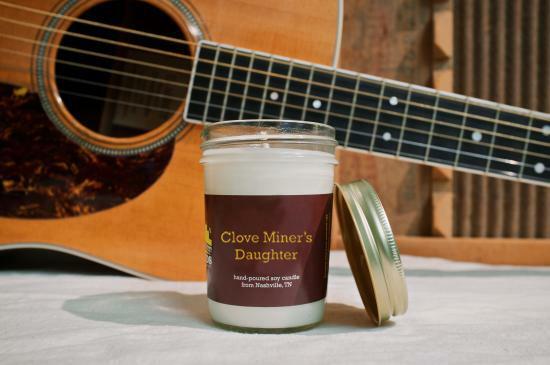 The Music City Suds online store is divided into “Hit Singles” (soaps) and “Hot Singles” (candles) and it’s well worth a visit just to see all the product’s creative names! And who wouldn’t rather receive a gift of artisan soaps and soy candles than a tacky t-shirt??? 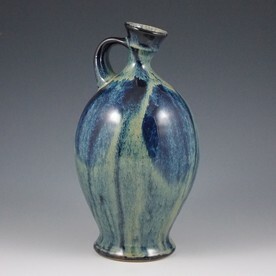 The gallery itself and the online store features a wide array of pottery, including but not limited to coffee mugs, serving dishes, platters, teapots, wine goblets, and vases. You can purchase anything in the online store and it’ll be shipped right out to you or as a gift. Prices are surprisingly reasonable, so take a look! KnobStoppers is only one of Hester and Cook’s product line … at their website you’ll discover stylish table and home products, wine racks, wall hooks, table runners, place mats, and quite a bit more. Really cool stuff here! 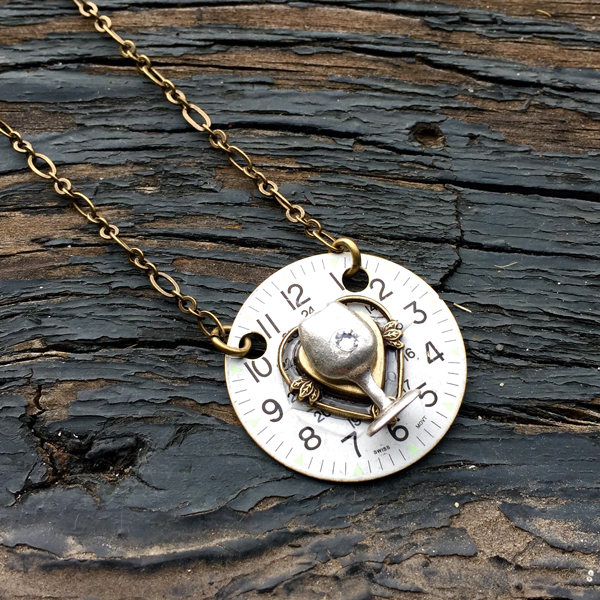 An ideal gift for someone with an eye for vintage and fun designs! 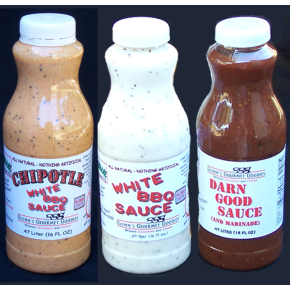 White bbq sauce is different than other traditional barbecue sauces because it is mayonnaise based. Vinegar is another key ingredient, as is black pepper, lemon juice, and sugar. Lynchburg Cake and Candy: Located in Lynchburg, also the home of Jack Daniel’s Tennessee Whiskey, Lynchburg Cake and Candy makes unique confections, many of which use Jack Daniel’s as a key ingredient. First is the Lynchburg Whiskey Cake, pictured, which is rich and moist with the flavor of Tennessee whiskey but no actual alcohol content since it’s cooked out. Sunshine Hollow is best known for pecan fruit cakes, as well as rum and bourbon cakes. Most prominently, a baked delight called Woozy Cake, flavored with dark rum. They also make bourbon cakes, which in actuality should be called Tennessee Whiskey cakes, but there’s no reason to quibble when something tastes this good! From skillets to grill pans to Dutch ovens, Lodge makes it all and makes it to last. They offer cookware sets (a great wedding or shower gift) as well as individual pieces to add to your kitchen arsenal. Jack Daniel’s Barrel Shop: Jack Daniel Tennessee Whiskey is arguably The Volunteer State’s best known export. Enjoyed everywhere, Jack Daniel’s is ofen confused with bourbon, but it’s a very unique product of its own merit … Tennessee Whiskey. It is similar to bourbon, though, and can be used and enjoyed in the same manner. You can find Jack Daniel’s everywhere, both in bars and liquor stores. It’s not only great for sipping, but it’s wonderful to cook with too! While you can’t buy the actual whiskey online, you can show off your good taste with an item or two from the Barrel Shop. 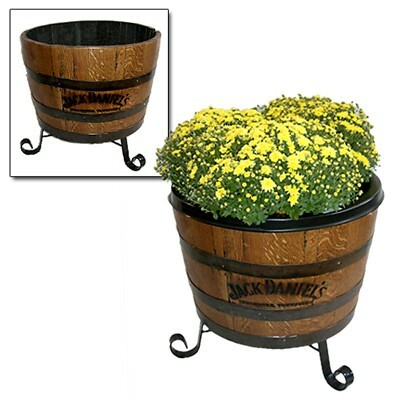 Artisans craft various functional home decor items out of actual barrel wood, like the planter shown. The distillery is a popular visitor attraction, not only for a taste of the moonshine, but to learn the history of making the alcohol which is also known as “white lightning”. Dinstuhl’s has always been known for their southern specialties like chocolate pecan fudge, cashew crunch, and a unique candy called Heavenly Crunch, a delightful blend of white chocolate, peanuts, cashews, dried cranberries, pretzel bits, and Golden Graham cereal. Now how good does that sound? Dinstuhl’s ships all over the country daily, and offers several gift baskets and special occasion gifts … what a treat from Memphis! 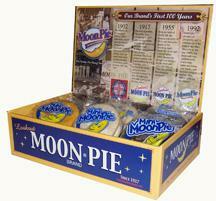 Moon Pie: The Moon Pie brand originated in 1917 in Chattanooga, and it is still one of the most popular treats made in Tennessee! Moon Pies are a unique concoction of a two chocolate coated graham cracker cookie wafers with a flavored marshmallow filling in between … either banana, chocolate, or vanilla. Benton’s Country Hams: Since 1947, Benton’s Country Hams of Madisonville, TN has been curing country hams for area fans and out of state shoppers. The Apple Barn is a sprawling complex, complete with a cider bar, general store, restaurant, and winery. It’s a very popular stop for visitors to the Great Smoky Mountains National Park. 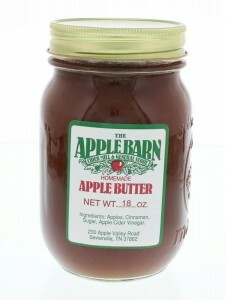 If your travels aren’t taking you this way, click over to the Apple Barn Store where you’ll see all the different products they make, edible and otherwise. 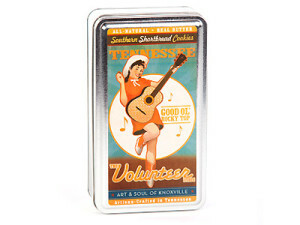 A great souvenir from Tennessee and a thoughtful gift for any fan of The Volunteer State! On a recent trip to The Volunteer State, we made it a point to sample and buy as many local barbecue sauces as we could carry back. One we particularly liked was Tennessee River BBQ Sauce from Kingston, near the Tennessee River. We bought the mild and plan to try the spicy … it has elements of Memphis style and Carolina vinegar style, but it’s a unique taste unlike any other we’ve had. You just have to try it! As you can imagine, it’s very good on pulled or chopped pork sandwiches, and versatile enough to be used on just about anything … we drizzled some on potato salad!